On June 7, the House passed the Spending Cuts to Expired and Unnecessary Programs Act, H.R. 3, by a small margin, 210 to 206. The bill would have rescinded roughly $15 billion in unobligated budget authorities from previous years, reducing the deficit by about $1.1 billion and taking away money that appropriators would have otherwise used to spending higher than budgeted levels. On Wednesday, the Senate considered the Spending Cuts to Expired and Unnecessary Programs Act. Now, in the upper chamber, this measure is privileged. The Congressional Budget and Impoundment Control Act of 1974 allows a president to make rescissions request and temporarily allows the administration to impound, or not spend, the funds. The process bypasses the filibusters, requiring only a simple majority, or 51 votes, for all procedural matters. This is by definition, true, as the fund he cites is funded by royalties paid by energy companies to the government to extract publicly owned offshore oil and gas from the Outer Continental Shelf and not by tax dollars. In practice, though, this is funded by taxpayers, as increased regulatory costs on businesses inevitably fall on consumers in the price they pay for the final product or service. This is, however, beside the point. The office explained that Sen. Burr introduced an amendment to strike the provision and that he has been seeking permanent reauthorization for the fund, which expires on September 30. The former of these explanations could have been directly addressed by a “yes” vote on the motion to discharge, which undermines his entire premise for his vote on the motion. The vote he made to sink the rescissions bill prior to was only the motion to discharge. That is to say it would have allowed the Senate to bring the bill out of the Appropriations Committee to the floor for consideration. It was the first procedural vote, and it would have allowed senators to progress the bill and eventually offer amendments in a “vote-a-rama." Vote-a-ramas only occur during consideration of a budget resolution and consideration of a rescissions package. After the allotted time of debate on a bill expires, any senator may introduce any number of amendments to a piece of legislation, all of which will receive a vote in a back to back marathon voting spree. 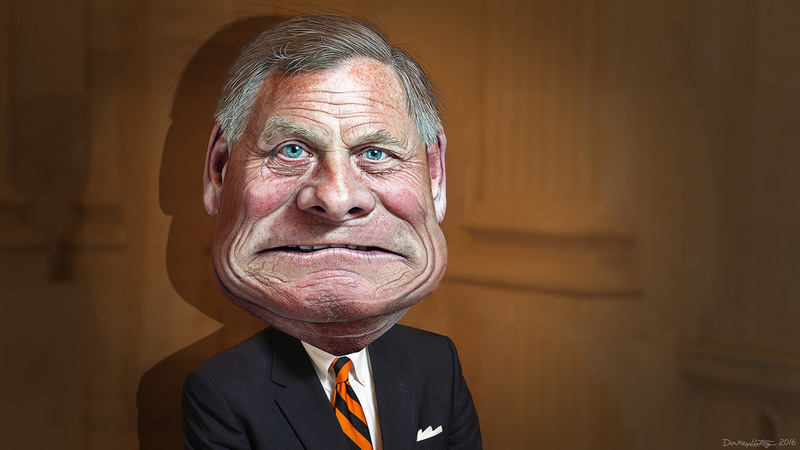 Now, Sen. Burr’s office claimed that he had offered an amendment. Congress.gov doesn’t show that he offered an amendment. Even if he did, why vote against the motion and prevent the Senate from moving forward to the vote-a-rama where his amendment could have be considered? If he was concerned about losing on the amendment, at least the process would have played out. Sen. Burr took to Twitter today to defend the popularity of the the LWCF, touting over and over its merits and its lack of cost to taxpayers. If this is the case, he should have eagerly voted to allow his colleagues to join him in this noble cause in passing his amendment to strike this provision. Alas, he did not, and is left doing damage control of tanking the chance for his chamber to even consider a key priority of conservatives and the administration. From our perspective, Sen. Burr is no better than Sen. Collins. He once said, “We're $13 trillion in debt. The answer is to stop spending. Americans are saying ‘enough.’ The answer is, let's stop spending.” Sure, the rescissions bill was small, and it’s a drop in the bucket compared to the fiscally irresponsible Bipartisan Budget Act, which blew through the spending caps by nearly $300 billion, passed by Congress in February. But for a senator who has complained about spending, this should have been an easy “yes” vote. Especially when a “yes” vote would have also allowed him a subsequent vote on the very issue he cited as the reason for his “no” vote. Sen. Burr failed to live up to his rhetoric, and this Burrtrayal won’t be forgotten. Jason Pye contributed to this post.